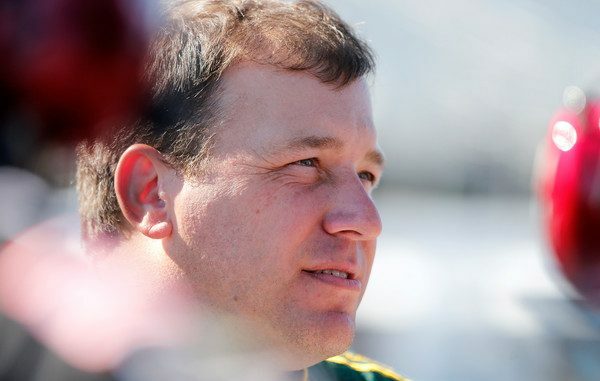 Roush Fenway Racing announced Saturday that veteran NASCAR driver Ryan Newman will take the reins of its iconic No. 6 Ford Mustang, competing full-time for Jack Roush in the Monster Energy NASCAR Cup Series in 2019. During his celebrated career, Newman has accumulated 18 victories, 51 poles, 112 top-fives and 246 top-10 finishes competing at NASCAR’s highest level. “I am excited about getting behind the wheel of the No. 6 car and working with Jack Roush and everyone at Roush Fenway Racing,” said Newman, who holds an engineering degree from Purdue University. Newman, a native of South Bend, Indiana, becomes the sixth driver to pilot the No. 6 for Roush, who launched his NASCAR team with fellow Hall of Famer Mark Martin behind the wheel of the No. 6 in 1988. Daytona 500 winner Trevor Bayne and future Hall of Famer and NASCAR Cup Champion Matt Kenseth most recently piloted the No. 6, sharing the ride for the 2018 season. The No. 6 Ford has visited victory lane 36 times, captured 41 poles and led over 11,400 laps under the Roush Fenway umbrella. Newman has led over 4,800 laps and his 51 poles are the ninth most in NASCAR history. He was named the Cup Series rookie of the year in 2002 and won the 2008 Daytona 500 and the 2013 Brickyard 400. He has finished inside the top 10 of the final Cup standings on seven occasions; including a second-place finish in 2014. He has qualified for the NASCAR Cup playoffs on eight different occasions since its inception in 2004 and he was named NASCAR Driver of the Year in 2003.